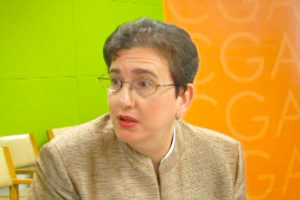 Colette Grace Celia Mazzucelli is an American academic, author and activist for world peace. She is Full Professor (Part-Time) at New York University, Digital Learning Innovator at LIU Global and Research Mentor at Pioneer Academics. Professor Mazzucelli is teaching the Conflict Resolution course for graduate students at NYU and leading the Voices of New York_RESOLVE team.